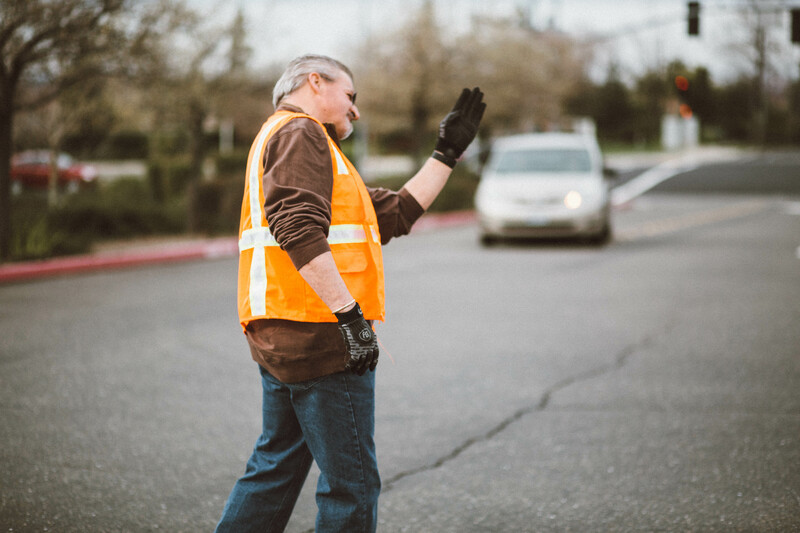 We’re here to make your first visit to Bayside Church a welcoming and enjoyable experience! Going to a new place can sometimes be confusing, so here are a few easy tips for your first visit. The good news is we have lots of parking… and the best part is wherever you park, we have shuttles available for you. We’re located on Stanford Ranch Road, up the hill from the Galleria Mall. As you drive in, our Road Warriors will point you in the right direction. Keep in mind, a lot of people attend services, so allow 10 to 15 minutes to park and take the shuttle to the Worship Center. 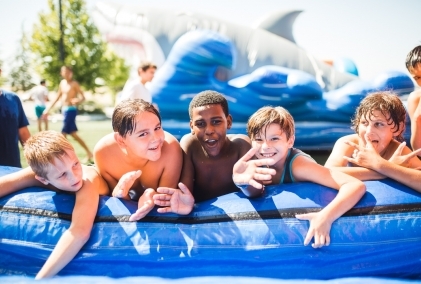 Bayside Kids offers fun, age appropriate programs for children 8 weeks - 5th grade during all three weekend services. We have three buildings for kids - the nursery building, the preschool building, and the kids building. We call our kids building Port Adventure. The ground floor of Port Adventure is K-3rd, and the bottom floor is Bayside FourFive, our 4th & 5th grade ministry. If you have kids (especially little ones who travel with a lot of stuff like strollers, diaper bags, etc.) the closer you can park to Port Adventure, the better! First time guests can check in at any check in station, but plan to be a few minutes early to get set up. Staff and volunteers will be available to answer any questions you might have. Be sure to keep your checkin tag handy, as you will need it to pick up your kid(s) after service. We may text you if your child needs you during service, so please keep an eye on your cell phone. 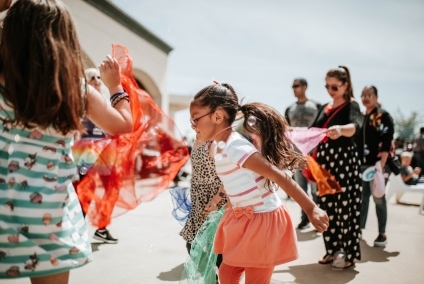 Bayside Students exists so that every student would be known by a caring adult, understand their value, and be connected to the local church. On weekends, Bayside Middle School meets at the 10:45am service on the bottom floor of Port Adventure, across from Bayside FourFive. High School students attend the 10:45am service together in the student section. You can find them in the Worship Center down in the front holding a Bayside High School sign. If you’re checking us out for the first time, it helps to know what to expect. Here’s some info to make your experience an amazing one! There are five convenient entrances to our Worship Center. The main entrance is located just up the stairs from the south parking lot. Once inside the main entrance, you’ll see our main lobby, where you will find the Guest Lounge for first time guests. After grabbing your first time gift at the Guest Lounge, you will head into the Worship Center, where you’ll receive a bulletin containing announcements and the message outline. The worship service lasts about an hour and includes singing, announcements, offering, communion, and teaching. 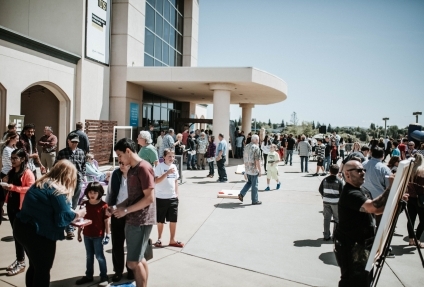 The offering is not for our guests, it is for those who have made Bayside their home church. Don’t be surprised if we cheer as we give - we recognize giving as an opportunity for God to move. We encourage you to hang out after service where volunteers and staff are available to answer any questions you might have about our ministries. If you haven’t already, drop by the Guest Lounge. We’d love to meet you and introduce you to some of our volunteers and staff as well as give you a gift.